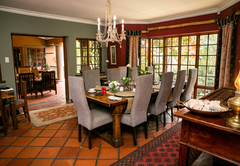 Terra Casa is a 5 star graded B&B offering Rustenburg accommodation in 6 guest rooms. 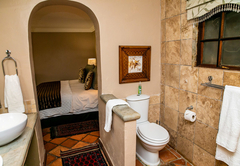 Terra Casa Guesthouse is located in one of Rustenburg's prestige residential areas. 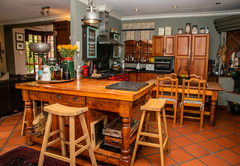 If you are looking for an extraordinary, earthly experience with special individual attention, this is the place to be. 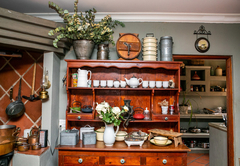 The guesthouse is beautifully decorated with special antique pieces combined with a hint of modernity and radiates warmth. 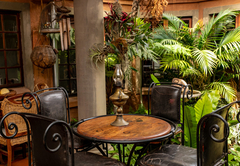 The garden court is visible from all the living rooms and the beautiful old palm tree and fish pond compliments the rustic setting. 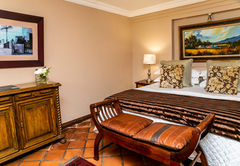 Each one of Terra Casa's six exquisitely decorated, climate controlled bedrooms welcomes guests to the cool serenity of beautiful white percale/cotton bed linen and orthopedic mattresses. 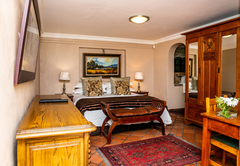 Our luxurious rooms are all en suite with flat screen TV’s and individual DSTV decoders and are ideal for honeymooners and business people. 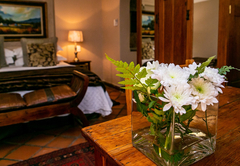 Three executive suites are exceptionally spacious with unique antique desks, king / queen sized beds and beautiful views of the Magaliesberg mountain range. 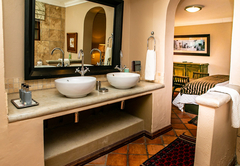 The unique en suite bathrooms all have large showers as well as jacuzzi or sandstone baths. Two of the rooms have balconies as well. 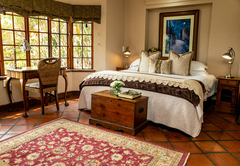 The other three suites are also comfortable with king/queen sized beds and lovely garden views. 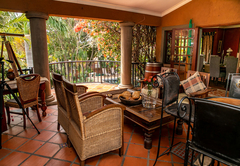 One of them has its own private wooden deck with table and chairs, while the other two forms part of the serene garden. These rooms have either a bath or shower. 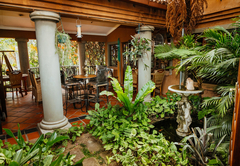 The dining room and patio forms part of a lush garden court. 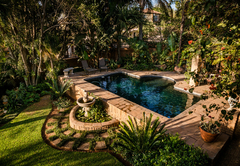 It all overlooks a secluded pool in an oasis of palms and green lawns. 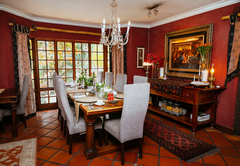 All the living areas have French doors opening onto the relaxing patio with beautiful mountain views. 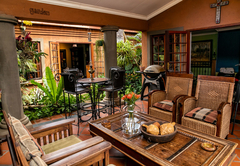 Terra Casa is ideally situated. 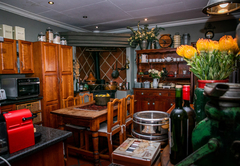 We are one kilometer from the Watervall Mall Shopping Centre with a variety of restaurants, as well as the Kgaswane Nature Reserve with various hiking trails. 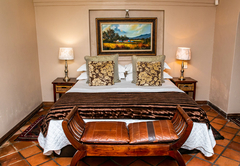 Sun City and the Pilanesberg Game Park is a thirty five minute drive and the Rustenburg Golf Club and a Health Spa only 5km. 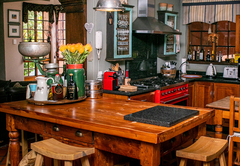 The German settlement, Kroondal is 10km from here and the Magaliesberg World Heritage Site and Cradle of Humankind a half hour drive. Response timeTerra Casa typically responds to requests in 5-10 minutes.